What more could a landscaper ask than a backdrop of the most glorious Yorkshire hills? 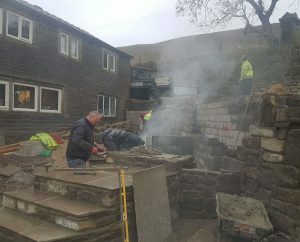 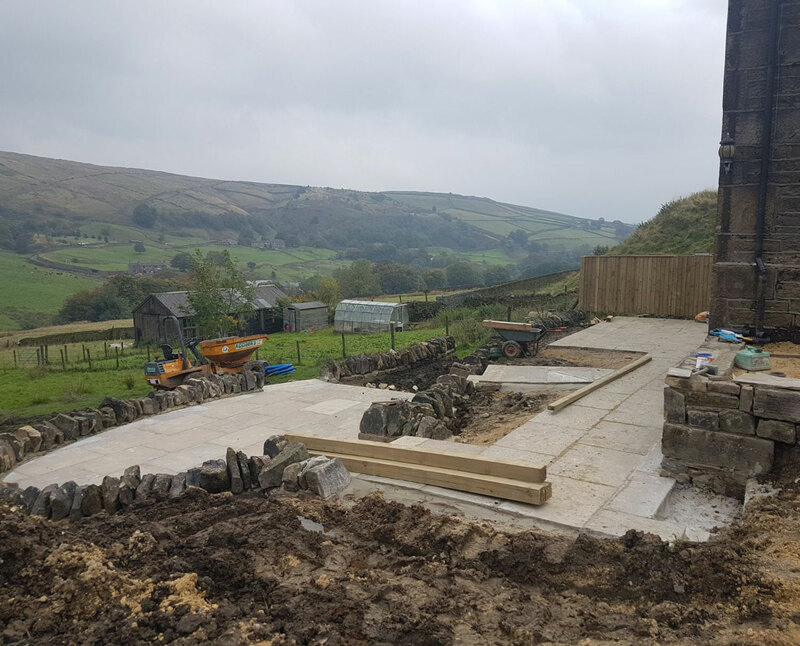 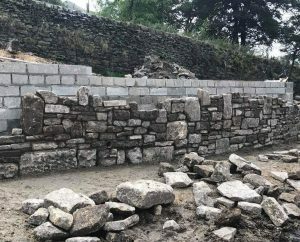 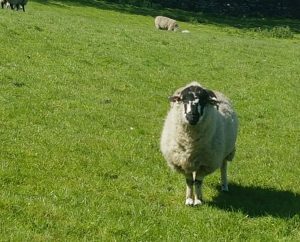 This domestic landscape project, underway this Autumn, calls on our hard landscaping team to manage the sloping aspect of this farmhouse garden in Marsden. 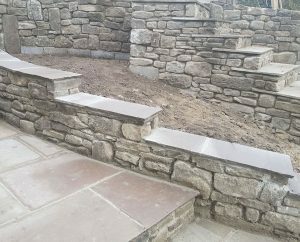 Creating a retaining wall, steps and patio, this impressive hard landscaping project is multi-level and multi-faceted. 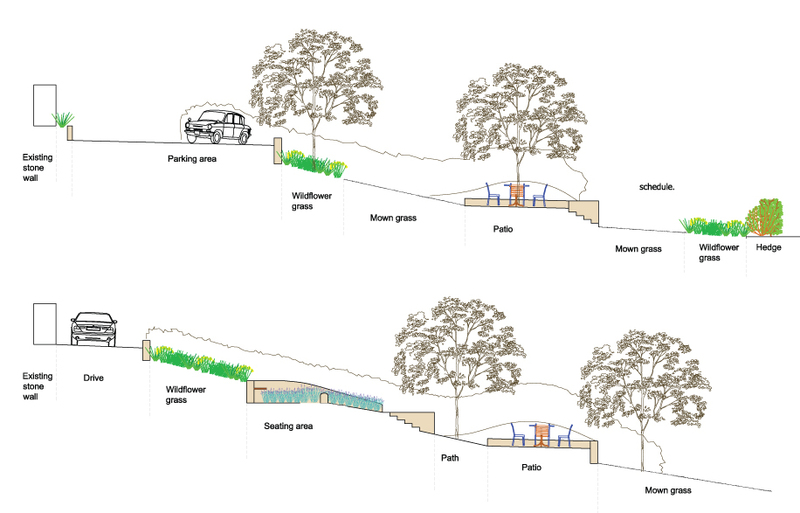 The garden’s new design, created by FDA Landscape, continues the feel of the rural location and surrounding landscape. 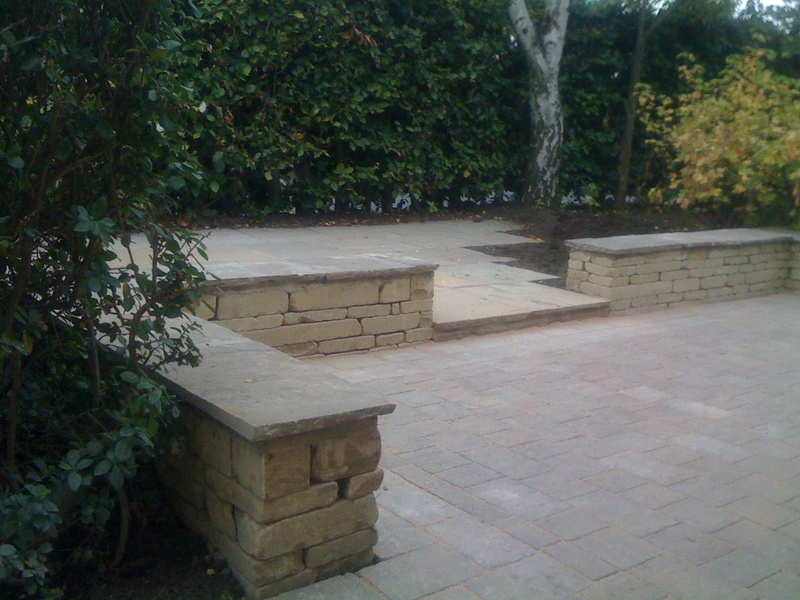 The lower level patio maximises the sunlight throughout the day and higher levels accommodate parking and seating. A superb outdoor space, designed to allow as much enjoyment of the stunning views when sitting, dining and relaxing. 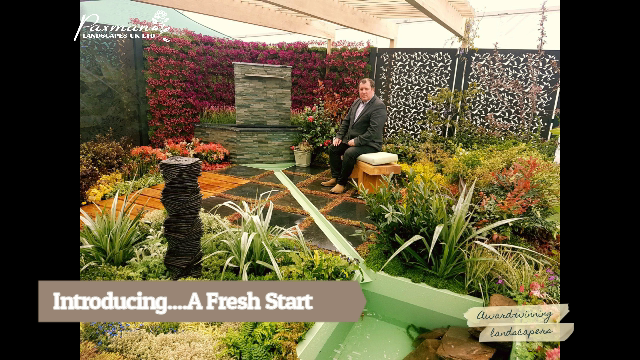 The softer planted aspects of the design will come to life in the Spring 2018 when Paxman Landscapes soft landscaping team take over.